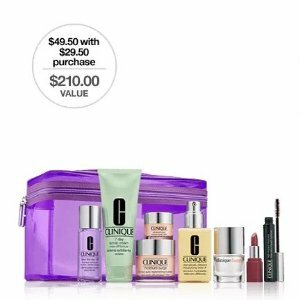 Clinique offers limited edition set! $49.50 with any $29.50 purchase. Plus, a free 6-piece gift with $65 and choose a free full-size best seller with $75. 25% off with any order via coupon code 25OFF .